A 7-week “Strategic Planning for Herbaria” online course is currently being organized and developed for the Spring. A 7-week “Strategic Planning for Herbaria” online course. Fridays from 3:00–4:00 PM Eastern Standard Time. We anticipate that the course will require 3–5 hours of work per week, including the 1 hour in-class. The goal is to produce a short (5–10 pages) strategic plan for each represented herbarium. 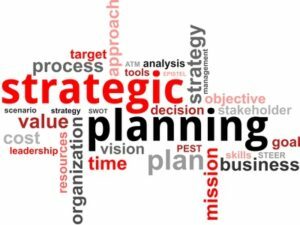 Each plan will address vision, mission, stakeholders, strategies, goals, objectives, evaluation, and sustainability, among other things. The process is at least as valuable as the product, and you might find that the exercises benefit your herbarium in unexpected ways. This is the second year that this course will be offered. The course will be capped at 15 participants to ensure adequate opportunities to participate in discussions. We are looking for creative, committed participants who can help us to continue building momentum for this as an annual event. If multiple individuals from an herbarium are interested in participating in the course, we ask that one formally apply and the others participate in the out-of-class exercises and brainstorming sessions. To apply, please fill out this short Application Form by March 16. Admission decisions will be made shortly thereafter. 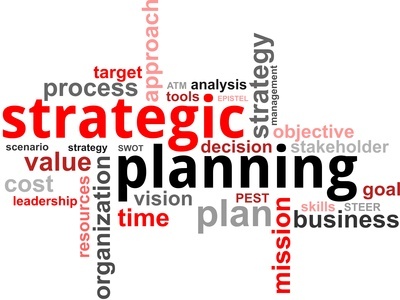 The goal of the “Strategic Planning for Herbaria” online course was to produce a short (3-5 page) strategic plan for each represented herbarium that includes the following elements: Vision, Mission, Strategies and Objectives, SWOT Summary, Sustainability, and Assessment and Evaluation. Thank you for the enthusiastic interest in the course from the community. We were only able to accept less than half of the applicants for the course, deciding to stick with our stated plan to keep the initial offering of the course small to promote discussion. The “Strategic Planning for Herbaria” short course occurred online on Fridays for 1 hour from May 5-June 9, skipping May 19. The course required approximately 3-5 hours of work per week, including the 1 hour “in-class”. The goal was to produce a short (3-5 page) strategic plan for each represented herbarium that includes the following elements: Vision, Mission, Strategies and Objectives, SWOT Summary, Sustainability, and Assessment and Evaluation. The process is at least as valuable as the product, and you might find that the exercises benefit your herbarium in unexpected ways. You must be willing to commit to participating fully in all in-class and out-of-class exercises. The 2017 short course was be capped at 10 participants to ensure adequate opportunities to participate in discussions. Some of the short course participants were available to share their experiences at the Thursday, June 29, workshop that we are organizing with Andrea Weeks at Botany 2017 (http://2017.botanyconference.org/engine/search/index.php?func=detail&aid=24). If you were not able to participate in the course, we encourage you to attend the 2017 Half-day Symposium on the same topic at Botany 2017. We will be using our experience in the course to enrich and inform that opportunity.